Alexandria, VA –– The single easiest way to live a healthier lifestyle is to choose healthy hydration by swapping just one caloric beverage with zero calorie water each day, the International Bottled Water Association (IBWA) announced today in support of Drinking Water Week (May 7 – 13). “Water plays a vital role in supporting nutritional health. Because 47 percent of added sugars in our diets come from beverages – and account for 20 percent of our daily caloric intake – it is clear that consumers can benefit from being more aware of what they drink and reducing their calorie consumption from beverages,” said IBWA President and CEO Joe Doss. Among the 250 million adults in the United States (33 percent of whom are overweight), that change alone would trim 3.9 billion calories per day from adults’ diets, she said. · Water is an essential compound that supports numerous metabolic reactions, including cellular processes, and the formation of urine, sweat and blood. · Water helps keep your temperature normal. · Water helps lubricate and cushion joints. · Water protects your spinal cord and other sensitive tissue. · Water can help gastrointestinal function. · Water can alleviate the incidence of kidney stones. “In recognition of water’s role in a healthy diet, it’s important to support increased access and availability of water as a healthy beverage choice. In fact, the 2015-2020 Dietary Guidelines for Americans (DGAs) note that calorie-free beverages – especially water – should be the primary beverages consumed,” said Mr. Doss. The DGAs recommend that Americans significantly reduce their intake of added sugars to no more than 10 percent of daily calories – about one 16 ounce soft drink. So, when it comes to beverages, the smart and healthy move is to choose water first for thirst. Limiting sugary beverages and drinking more water – including bottled water – is one of the easiest ways to follow the new nutrition advice from America’s top scientists. 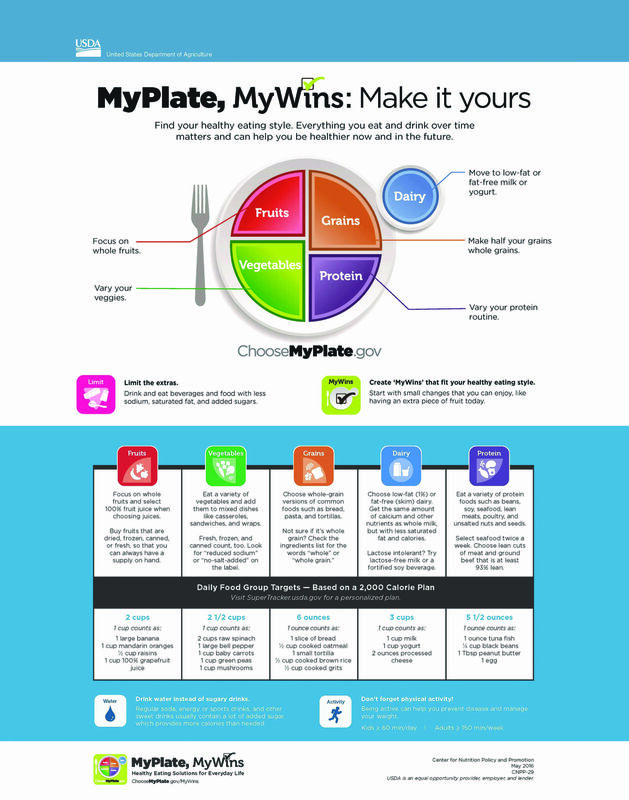 Recognizing the importance of water, the USDA Center for Nutrition Policy and Promotion’s MyPlate MyWins guide specifically highlights the need to choose water instead of sugary drinks. “The United States is an on-the-go society that depends on convenience when making food and beverage choices. Ideally, water should be accessible to people everywhere, and the bottled water industry supports a reliable public drinking water infrastructure. However, much of what people drink comes in a package, and, as a result, today almost half of the water people drink comes in a bottle. However it is accessed, drinking water – tap, filtered, or bottled water – in the home as well as when out and about is always an important and healthy choice,” said Mr. Doss. Studies have shown that drinking plain water, instead of sugar-sweetened beverages, is associated with a decrease in the incidence of obesity, type 2 diabetes, and cardiovascular disease. People of all ages need to maintain proper hydration to function optimally, but healthy hydration helps ensure the prevention of nutrition-related non-communicable diseases. According to the Institute of Medicine and the American Journal of Preventative Medicine, one-third of American adults are overweight and another one-third is obese. And, during the last 30 years, children’s obesity rates have climbed from 5 percent to 17 percent. Encouraging the consumption of water, and increasing its availability in all formats—including bottled water, is a smart and direct way to help Americans make healthier beverage choices. IBWA is proud to be a supporter of Drink Up, an initiative of former First Lady Michelle Obama and the Partnership for a Healthier America (PHA), which encourages Americans to drink more water more often – whether from the tap, a filter, or in a bottle. Choosing water is always the healthy choice.